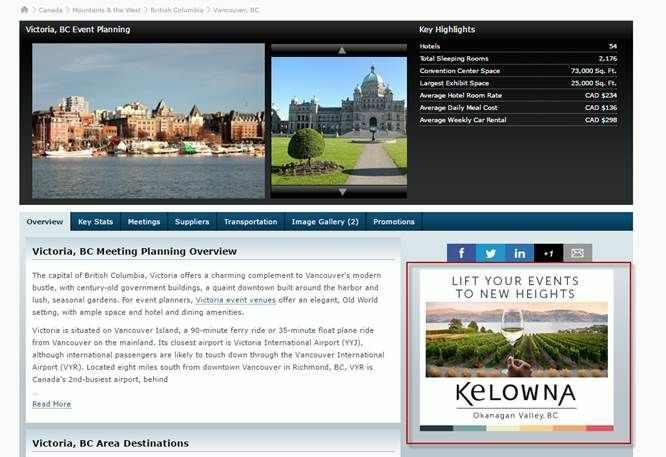 Tourism Kelowna has some new advertising in the marketplace to target meeting and conference planners. Updated branding and new imagery has been incorporated for 2017. The print ad above is running in the February/March and June/July editions of the national meeting and conference trade magazine Ignite. 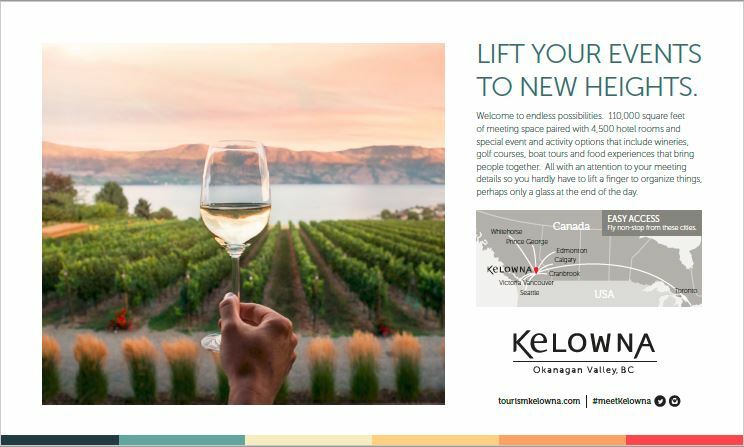 Along with the print ad, Tourism Kelowna has purchased digital banner ads for 2017 that will appear on our competitor destination pages on CVENT.com, a key international meeting planner resource for conference venues and destinations. Box banner ad that appears on CVENT.com on competitor destination pages. 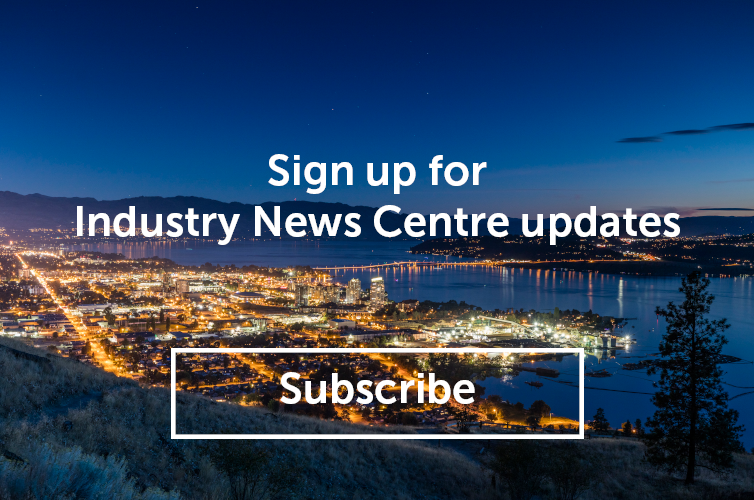 For more information on these and other meetings and conference sales and marketing activities, please contact Jennifer Horsnell at jennifer@tourismkelowna.com or 250-861-1515 ext 205.